I am perplexed at the low IMDb score. So I have offered to spend a few minutes in a bid to rectify this wrong! 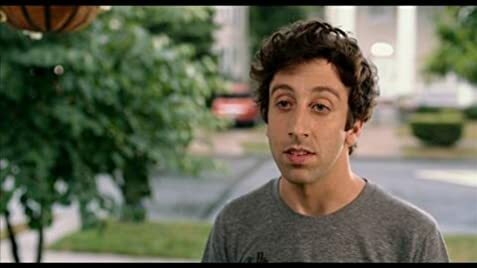 Simon Helberg is good in the role. Few of the other actors fall short. The script could have been better developed. It is actually quite alright. Melanie Lynskey is also quite all right, even though the viewer is initially not made to connect with her character much. It sorts itself out later in the film. This does not have the Big Bang Theory sort of comedy. It is a much darker sort of comedy British viewers will enjoy more. This film is not tedious like many Woody Allen copy cats. It is should have had an average score of 6 on IMDb. Based upon Simon Helberg and Jocelyn Towne own transcontinental breakup. In the opening credits the name of the movie is shown and soon after "based on a true story" statement, the word "unfortunately" appears.